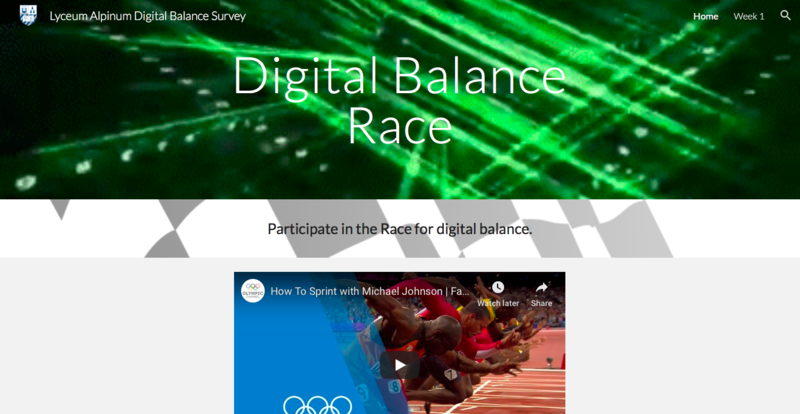 Students: Digital balance can become a problem. For us, our targets are teenagers - we are the ones addicted to social media. This can cut down on productivity. Once we checked the screen time on our phone we were quite shocked, we realised that we spend A LOT of time on social networks. In that time we could have done so many other things, that's why it's important to raise awareness. Our generation is very much affected - positively and negatively - through social media & networks. In our team we were 3-4 youngers and 3 older ones. Tim has an average of 1.5 hours per day and thinks this is a lot. Our average is 5 hours a day and that's still not a lot. Some people are for 7 or 8 hours on their phone. That's crazy! The relation to our phones is very different from generation to generation. We started with the product idea "how to reduce screen time" and ended up with an event format that creates understanding for screen time behavior. Students were shocked to see their own screen time and that of others. They realised that a collective discussion is important. It's not about reducing screen time (policing), but about raising awareness and leaving it up to individuals how to behave. Students need to get caught on their online platforms. It's counter intuitive - reducing of screen time communicated via screen. Social media / Instagram allows to access students very quickly. Students are willing to share very personal data via Instagram. It can be dangerous to make this data public and discuss it, because students can start mobbing on this basis. That's why the data needs to be aggregated and anonymized. We created an online survey with 30 participants using a small Instagram campaign (raising awareness). We analyzed and discussed the collected data. We created a website and concept for a tournament. We discussed the concept with a data expert. We created a new hashtag #putcaponphone (similar to the ice bucket challenge). What's the problem you want to solve and why? Teenagers/students are as collectives exposed and peer-pressured to spend time on the internet, particularly on mobile devices. The "value" of spending (such large amounts of) time alone and/or together on the internet is quite puzzling. Eventually, it is very much in the individual responsibility and reflexive behaviour of each teenager to use her or his time wisely - as adults, caretakers and schools have lost "control". What's the solution / project you are suggesting? Tools like Apple's "Screentime" tracking have become increasingly popular as a reaction of the problem (even Tech Companies realising themselves that their products rare harmful in not so specific use cases anymore). Today, teenagers start realizing how their screen time has increased, yet there are no tools and even less culture to tackle the reduction of screen time in particular, and in more general what application categories are used for how much time, for example "educational" vs. "social" (many of them are called "social"). My solution is to collect screen time data and visualize it in order to develop a collec-tive understanding and/or tool to work on the reduction of screen time (digital-off-screen balance) and the balance of application use (reflexive application use balance). How could this idea be developed or tested at a 30-hours Hackathon? Scraping screen time data on campus and/or macro screen time data (geography, age, gender, etc.). In order to a) visualize this data b) develop a tool for the collective improvement (game oriented, peer-incentivized, etc.) of screen time data (digital-off-screen balance and reflexive application use balance). Who are you? Please describe yourself in 1-3 sentences. Tim Lehmann. I am tech-cultural advocate, a tech-sociology lecturer and built Kickstart's edtech and learning program.